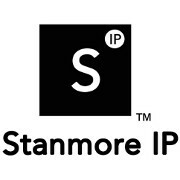 Intellectual Property Rights (IPR) are important in every sector, especially the creative industries. A couple of weeks ago I was asked to speak at the Creative Bedfordshire Conference held at the University of Bedfordshire. Amongst other speakers covering topics such as valuing your work, accounts, using social media and why business collaborations can be important, my talk covered (funnily enough) Intellectual Property Rights and Contracts. If you would like more information, or would like to discuss a specific matter, please do get in touch. This entry was posted in In the news and tagged Intellectual Property on 18th March 2016 by forestboy5.